The popular television show The Adventures Of Superman aired from 1952 to 1958. It was the first small-screen series to feature the Man Of Steel. 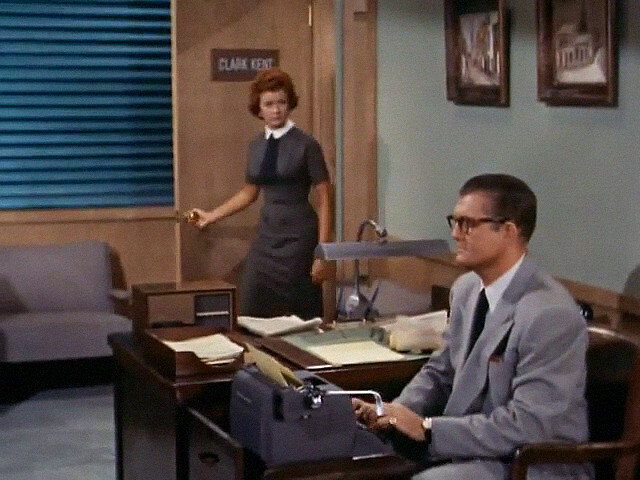 Starring George Reeves as Clark Kent/Superman, it followed the adventures of the American hero as he fought crime with the aid of his friends at the Daily Planet. During its run, Superman came head to head with various crooks, gangsters and other bad guys in Metropolis while posing as a newspaper reporter by day. When one star died of heart failure and Reeves committed suicide, the show was canceled before its time. Check out some fascinating facts about the program… including why Lois Lane and Clark Kent couldn’t appear in commercials together! Producers of the series cut costs in many ways in order to save money. Today, it’s not uncommon for actors to wear several different outfits during a single episode. But during The Adventures of Superman, the actors wore the same costume throughout the entire episode. Scenes that took place in the Daily Planet were shot together out of sequence, so the stars wore the same ensemble even if the scene took place on a different day. Producers also reused the sets.